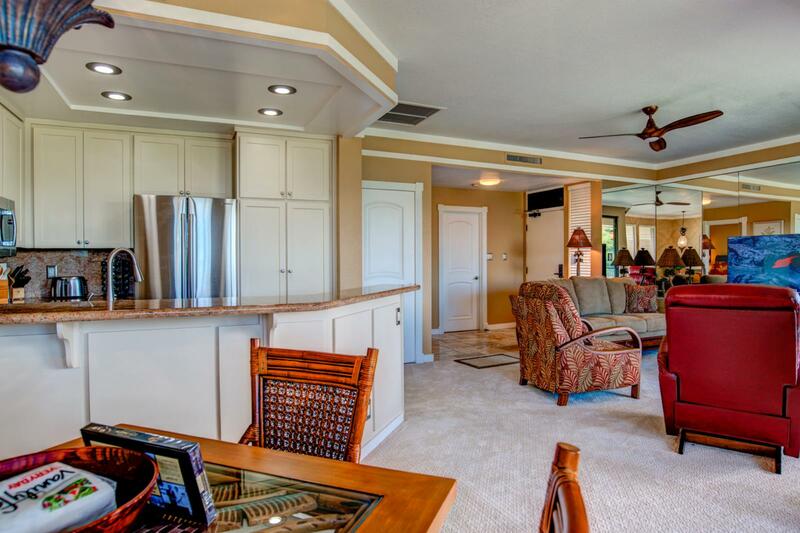 Beautiful 1 bed/1.5 bath golf villa with all Gold Villa upgrades! 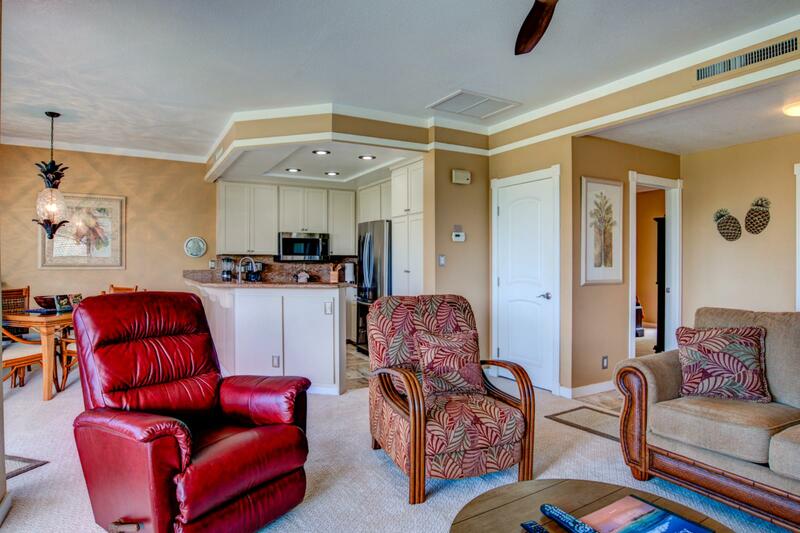 Location : Condo, V bldg. 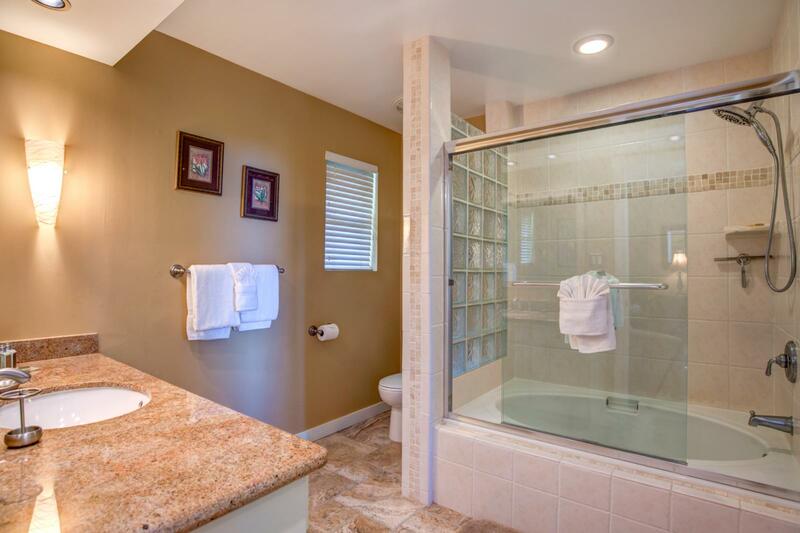 Size in/out : 899 sq.ft. 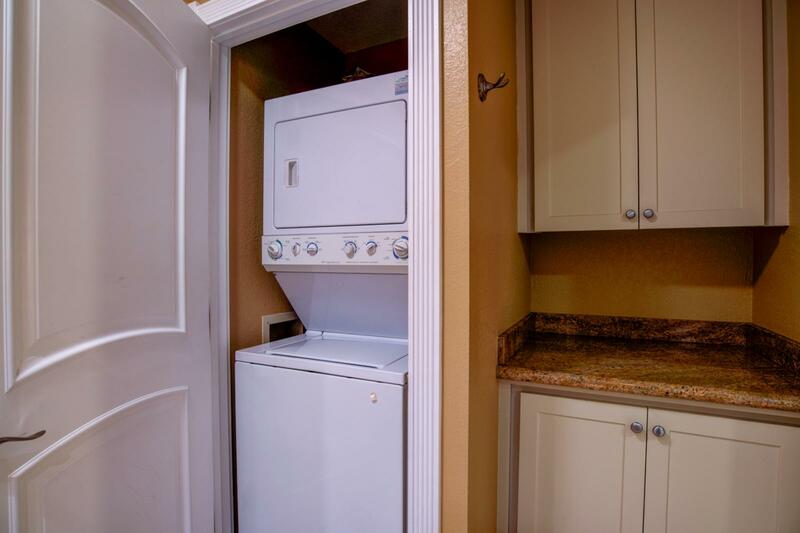 / 235 sq.ft. 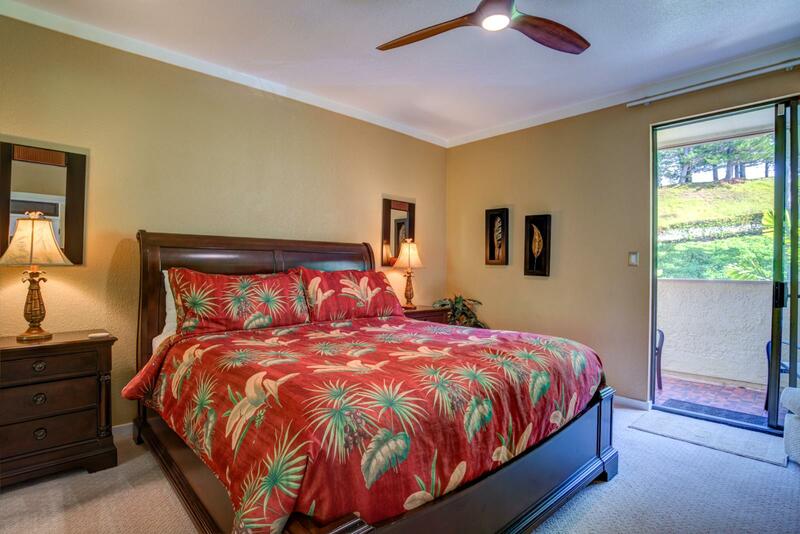 May 03 2019 - May 07 2019 * 4 night special only $139/nt. 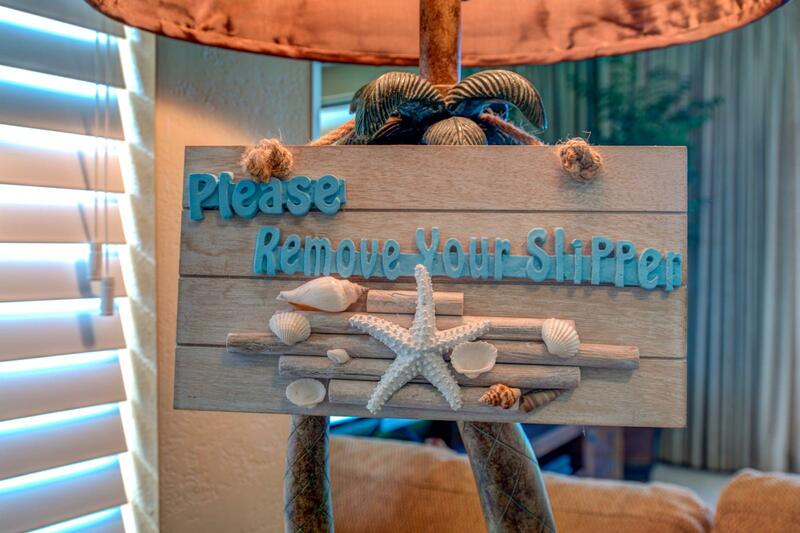 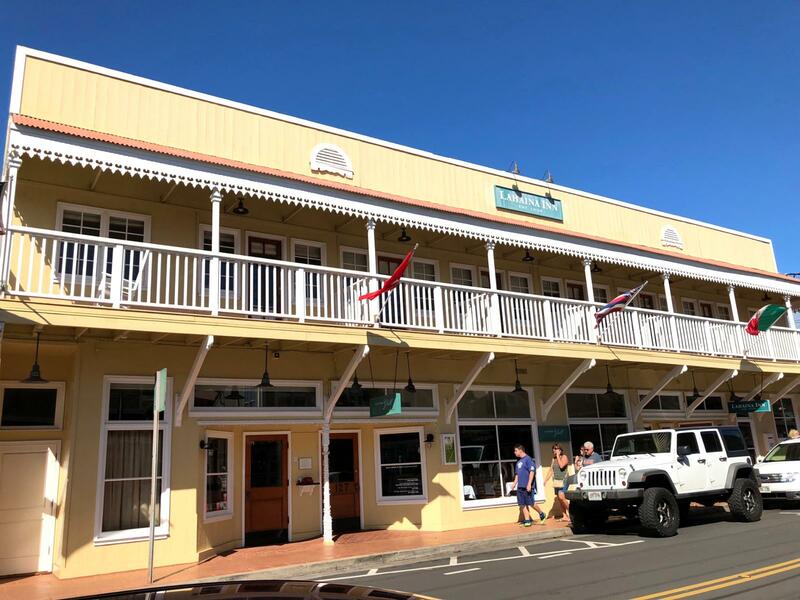 May 22 2019 - May 23 2019 * 1 night special only $139/nt. 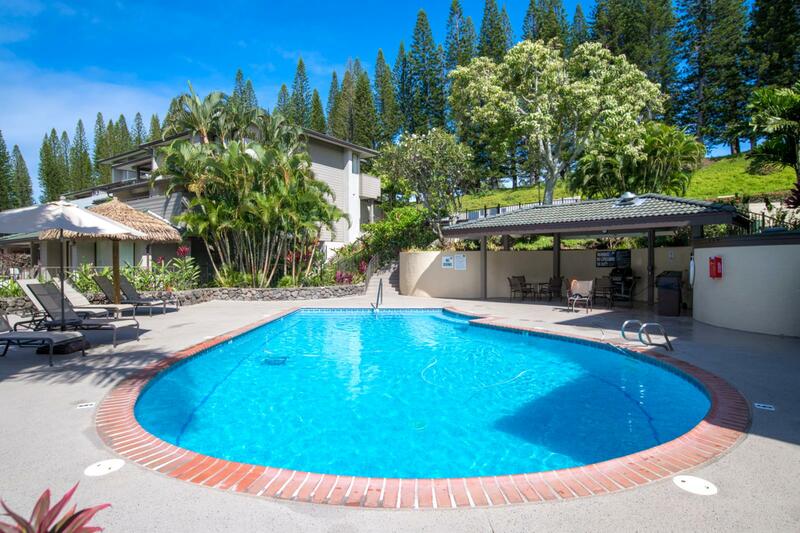 Jun 16 2019 - Jun 17 2019 * 1 night special only $139/nt. 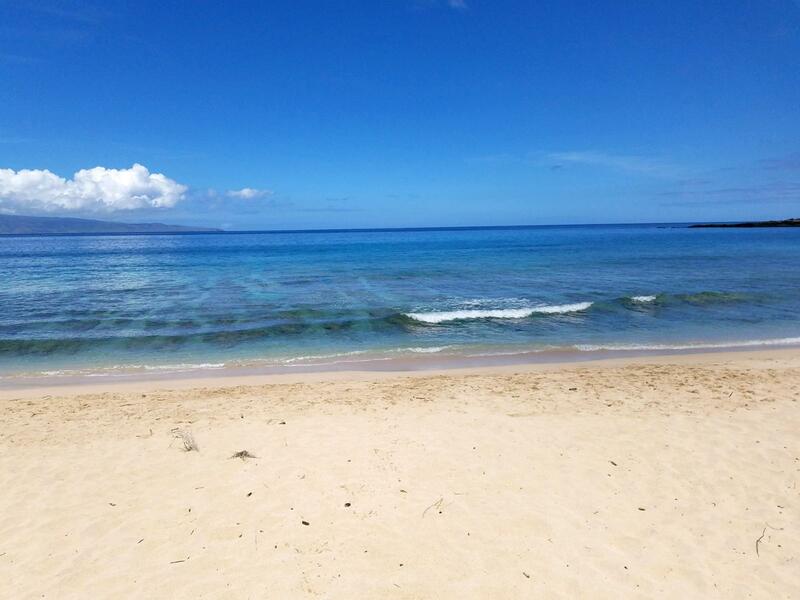 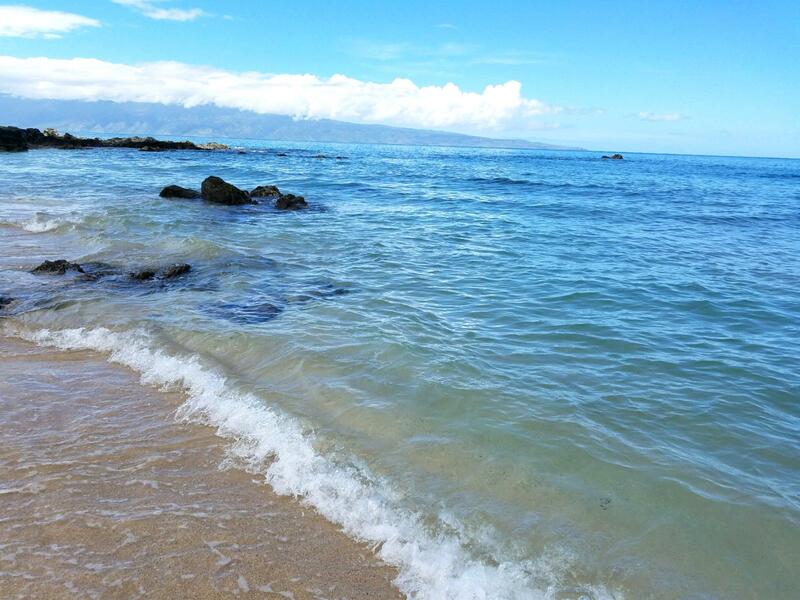 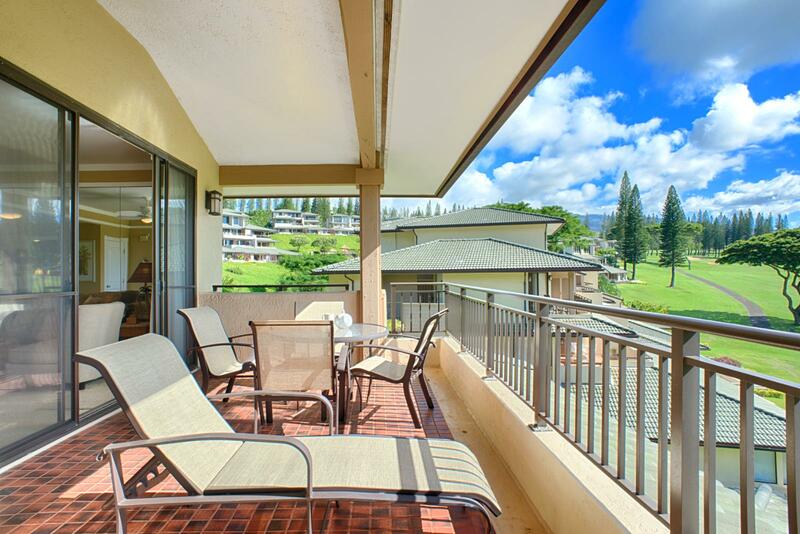 Jun 24 2019 - Jun 26 2019 * 2 night special only $139/nt. 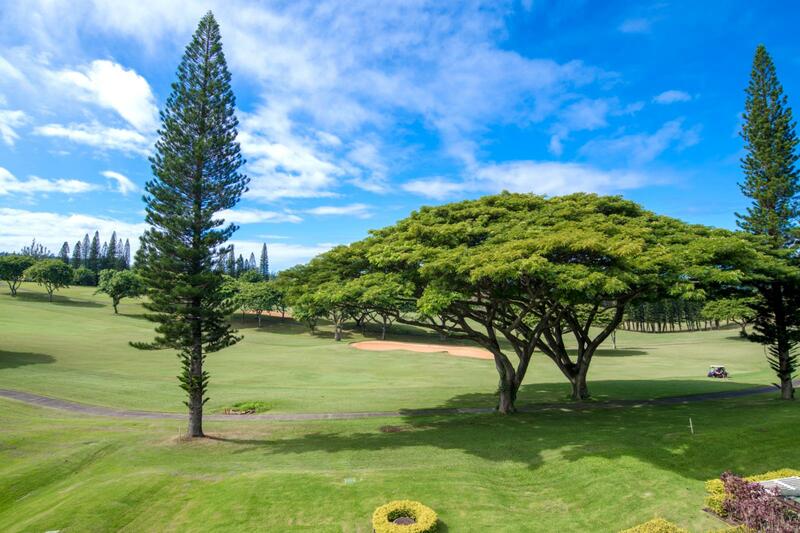 Jul 04 2019 - Jul 08 2019 * 4 night special only $161/nt. 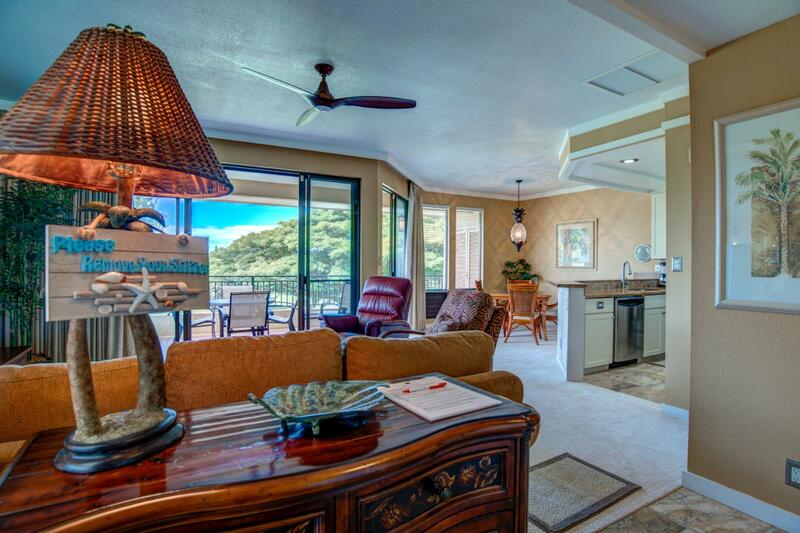 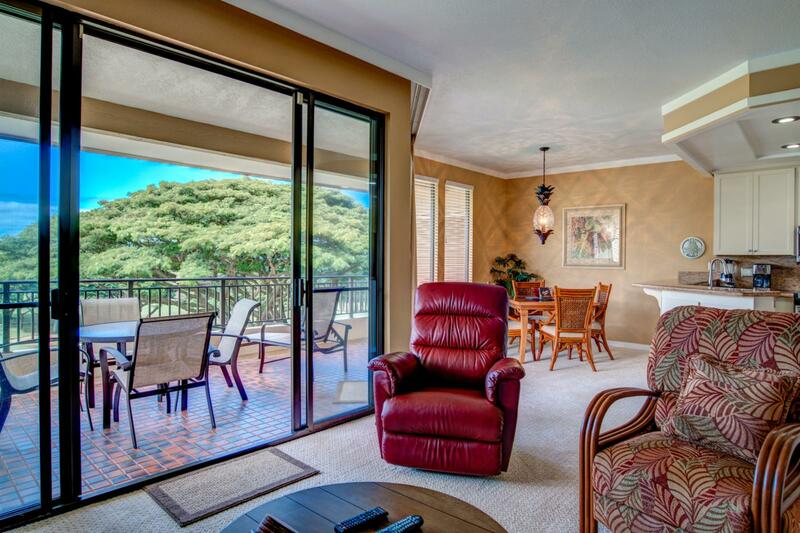 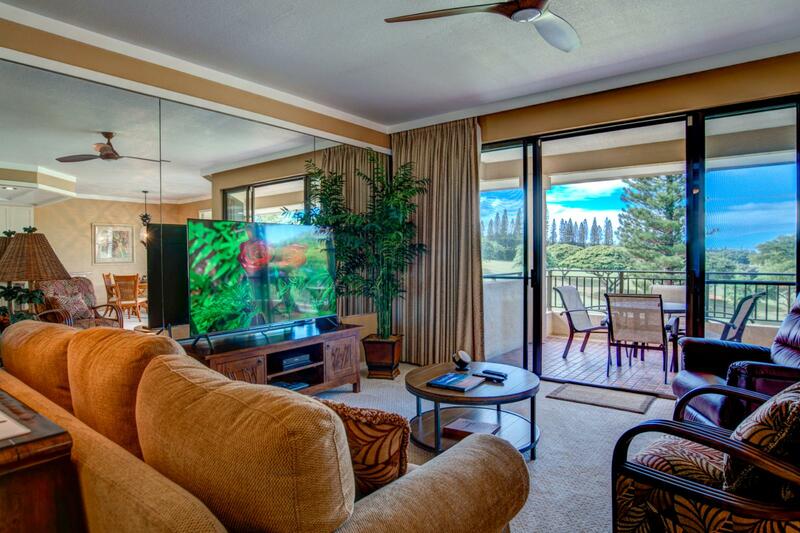 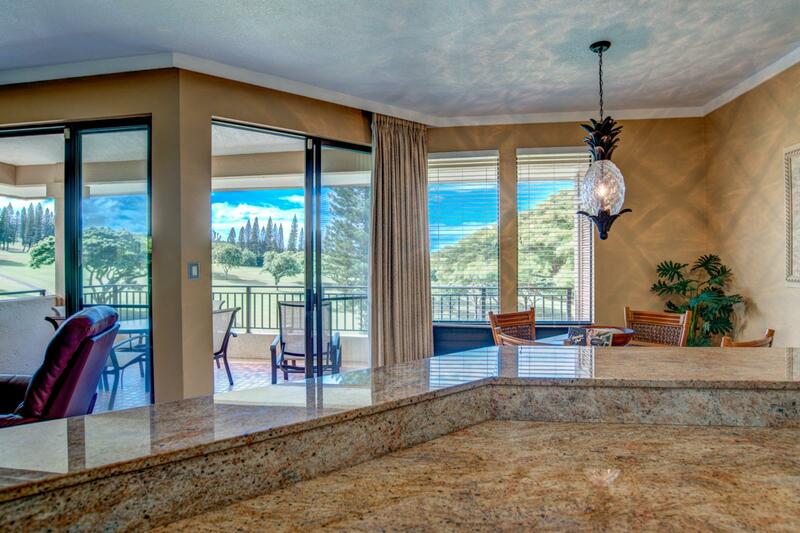 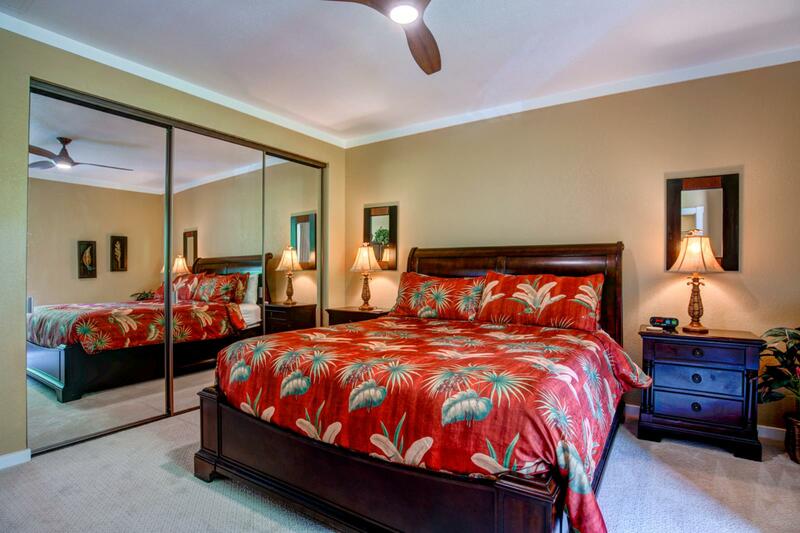 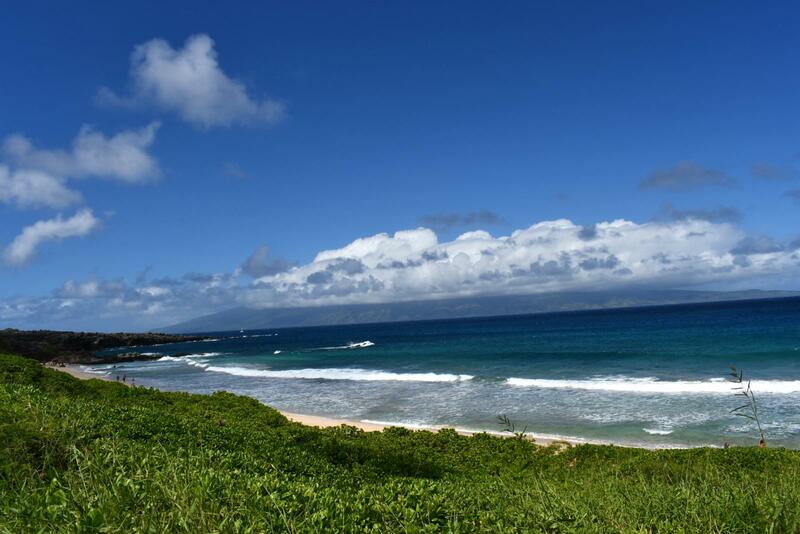 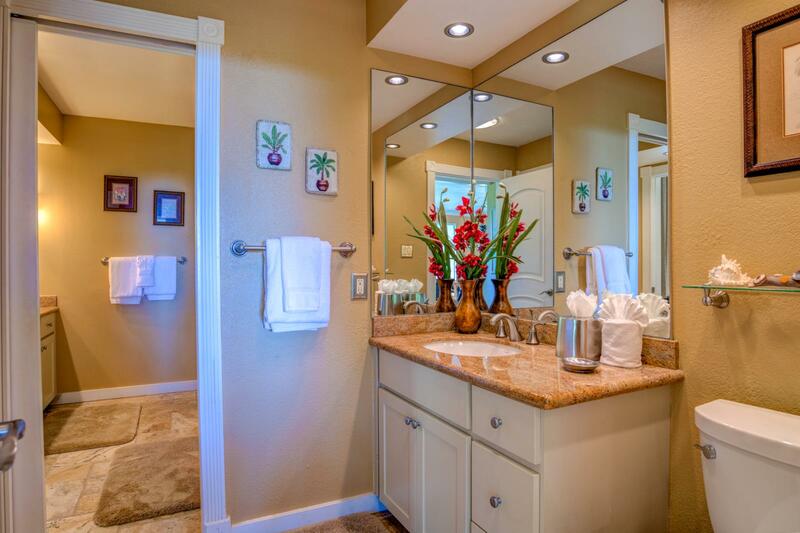 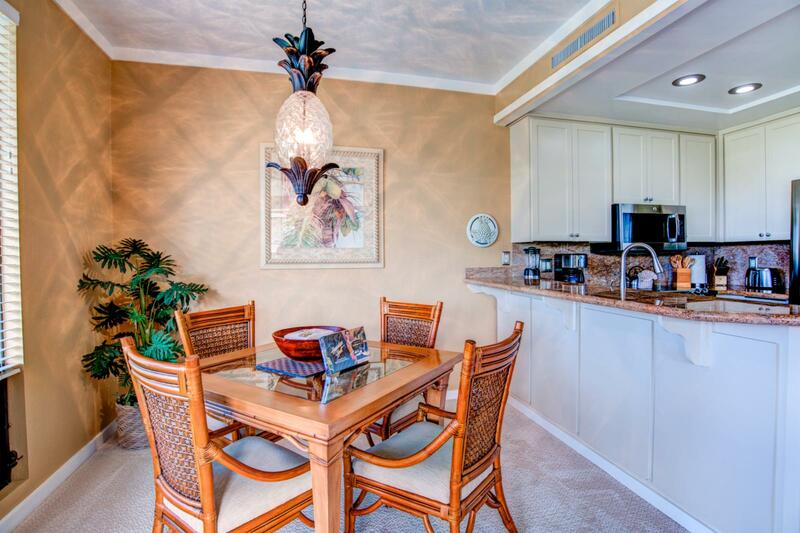 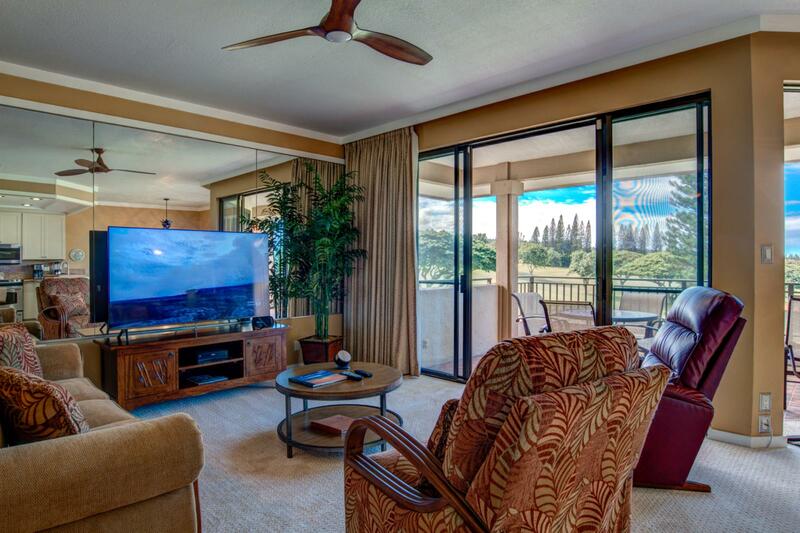 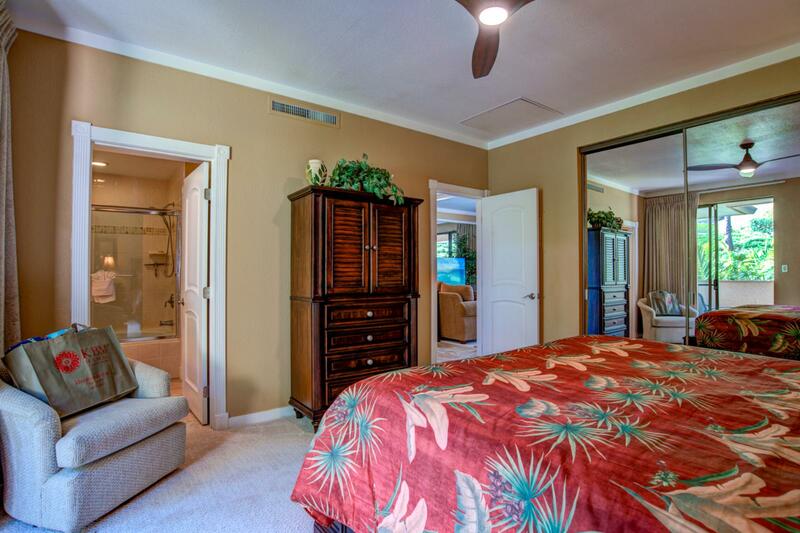 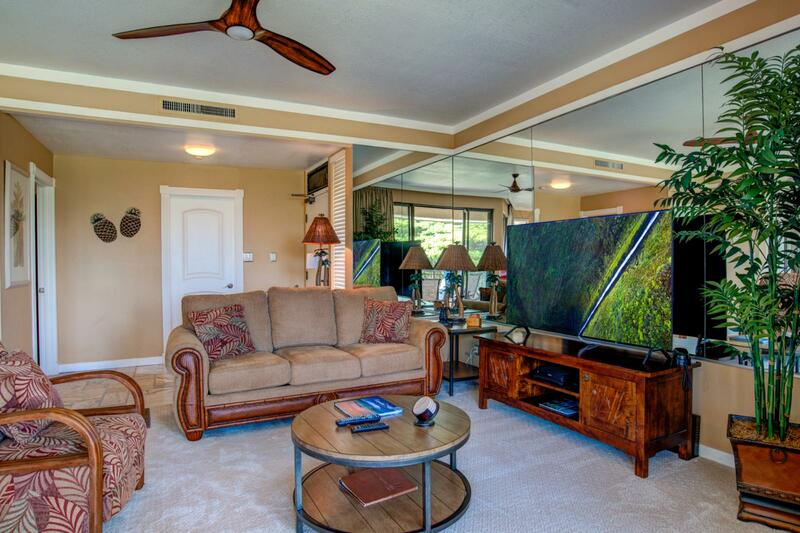 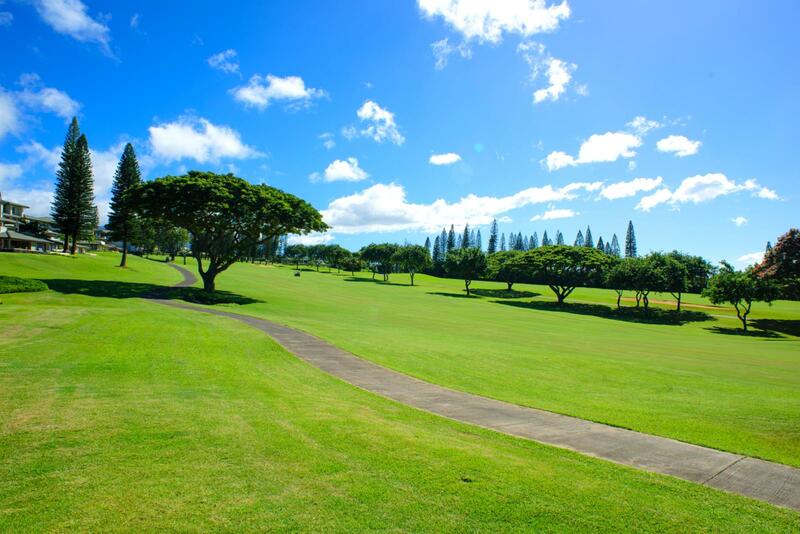 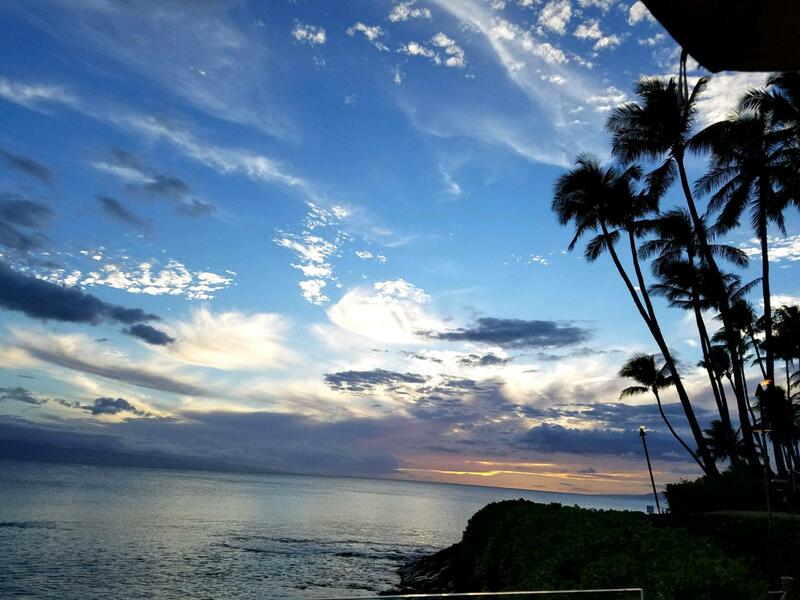 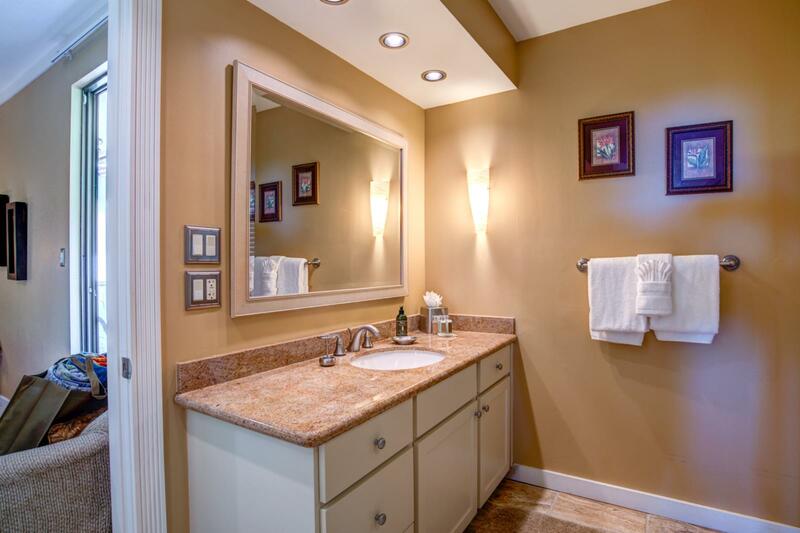 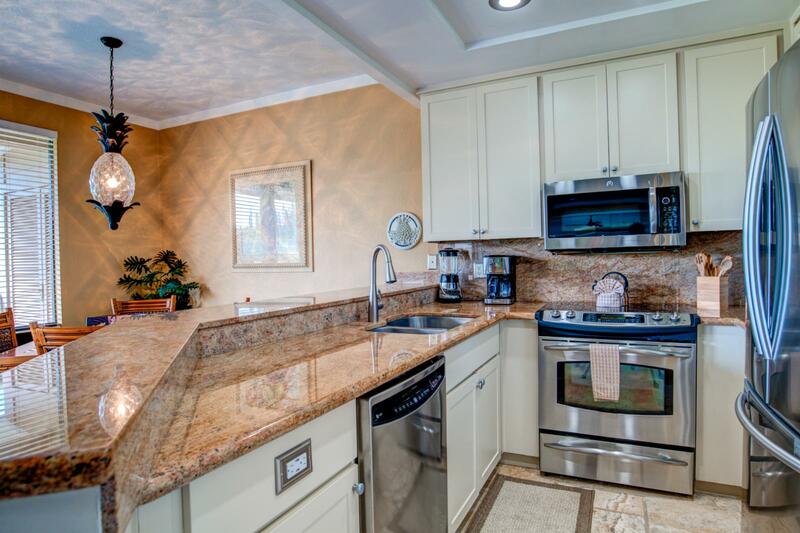 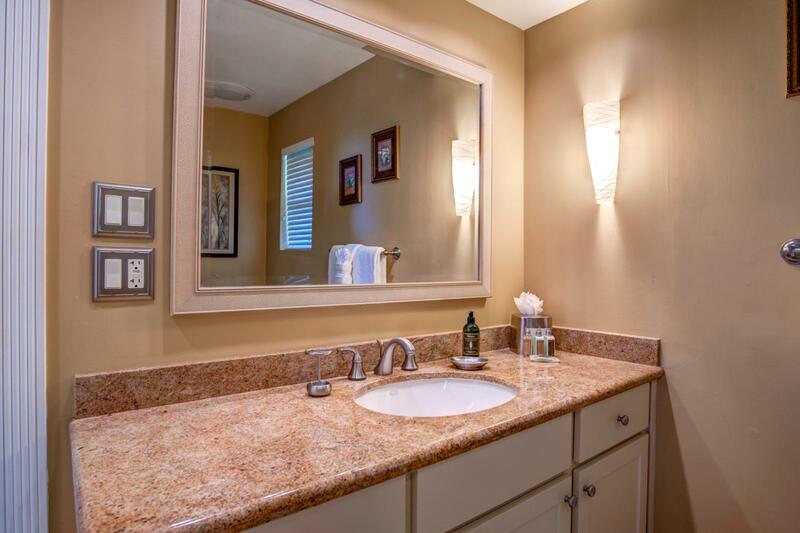 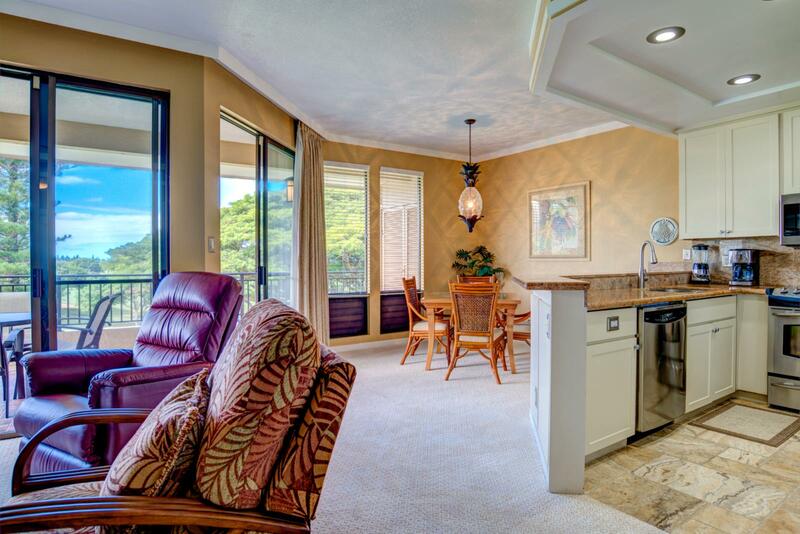 Beautifully recently remodeled to the famous "Gold Standard", this one bed / 1.5 bath Vista level end unit oriented South West is located on the 10th fairway of the World Famous Kapalua Bay Golf Course and offers open views of the golf course and the West Maui mountains. 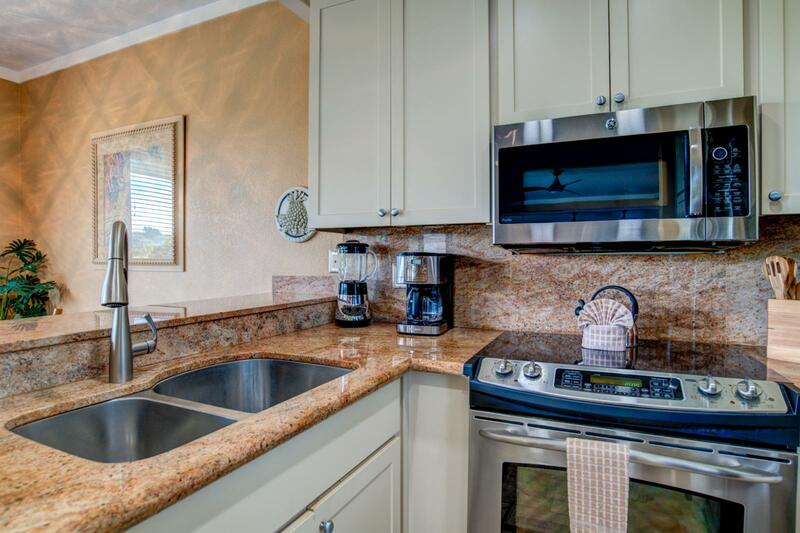 Upgrades included new kitchen cabinetry, granite counter tops, GE Profile Stainless appliances, lighting, Travertine flooring, and large LED 65" Ultra HD flat screen TV for the ultimate entertainment. 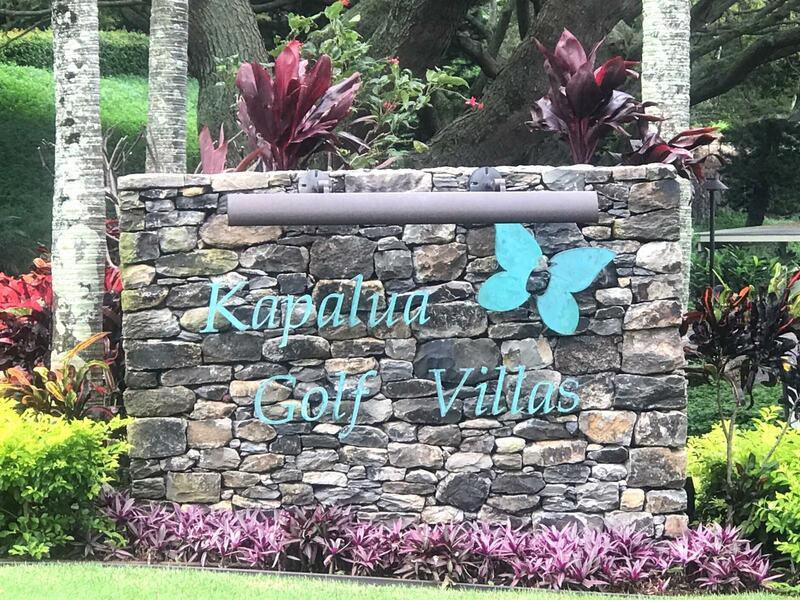 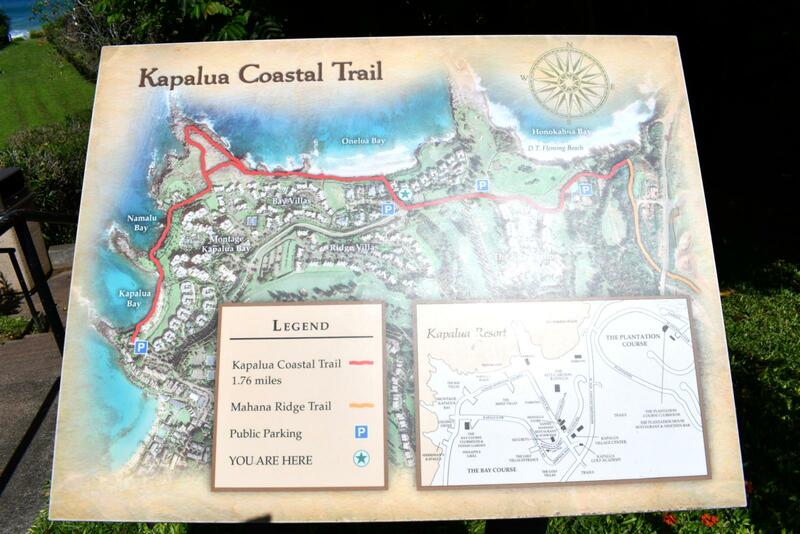 The Golf Villas condominium development is perfectly located in central Kapalua, offering easy access to fine dining restaurants, Montage Kapalua and Ritz Kapalua hotels and spas, world renowned Plantation Course, beaches and surf spots, superb tennis facilities and miles of superb hiking trails. 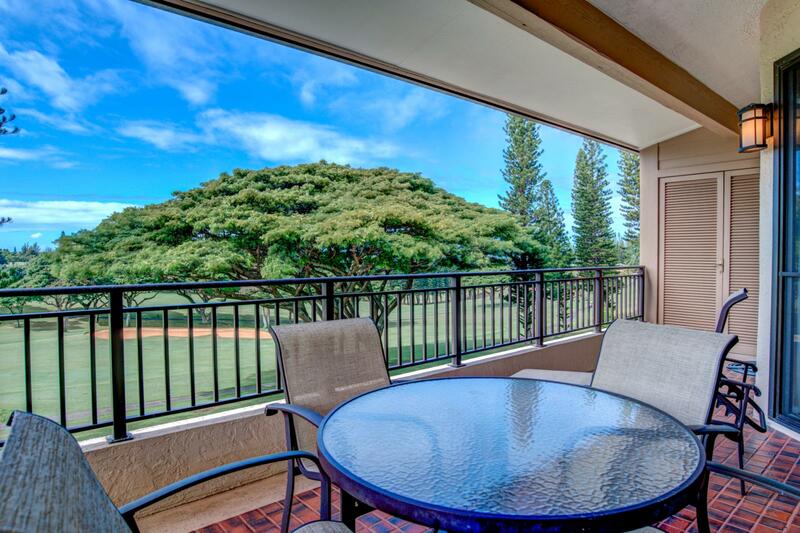 Bedroom view : Golf Course Front Beautiful Fairway views from the Master Bedroom!